Google Analytics’ e-commerce tracking allows online merchants to measure items sold and tie those results back to their digital marketing activities. But did you know that it can also be used to track non e-commerce activity? Nissan Motor Company does just this. Nissan operates in the automobile industry, and owns a network of websites designed to help consumers around the world decide which Nissan vehicle they would like to purchase. 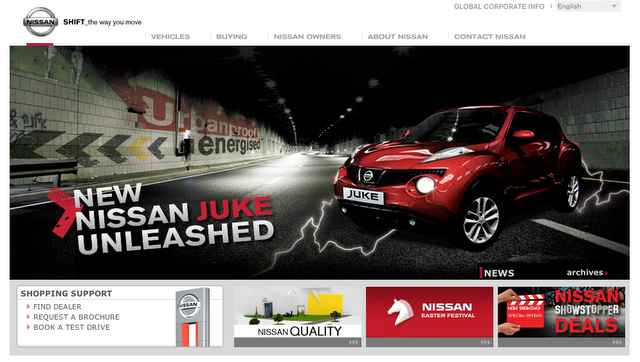 Nissan uses e-commerce tracking whenever a visitor submits a request for a test drive or a brochure. They treat each request as if a car were sold, and record details such as the model, colour, transmission type, and location of the vehicles people inquire after. A traditional Google Analytics implementation for a non e-commerce site would simply use goals to measure conversions. 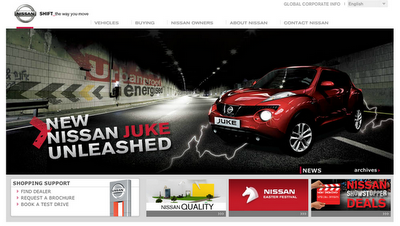 So why did Nissan opt to use e-commerce tracking instead? They wanted to be able to measure more information about each inquiry within their Google Analytics reports. By implementing e-commerce tracking they are now able to pass additional information to their Google Analytics account, such as the category, colour, and model of car the visitor was interested in. Nissan's Global Marketing Strategy Division then analyses this information to understand which vehicles are in hot demand in each market; it then feeds those insights to their manufacturing plants across the globe to ensure that there is enough supply to satisfy demand. One of the benefits of Google Analytics is that you can decide who should have access to your suite of reports. Nissan’s Global Division uses this feature to decentralise access to their different market operations, allowing each country manager to log into Google Analytics and quickly assess the popularity of different models for their market. Nissan employed a Google Analytics Certified Partner in Japan, Ayudante, to help set up their account profiles and custom reports that could then be accessed by each of the country managers. It is easy to assess product popularity globally and by market. The user experience is seamless and there was no complex setup necessary. Custom reports allow you to easily view complex information in one view. It dramatically reduces the time to summarize multiple reports, document it, and share it within the organisation. Google Analytics gives them access to timely information, which allows for better decision making. Even if you are a non e-commerce site, you should explore e-commerce tracking as a means of measuring more information about the products or services your visitors are inquiring about. Then share that information with your wider marketing and product teams so that they can make effective decisions to maximise sales. This post originally appeared on the Google Analytics Japan blog.